Meant for the Milk Crate w. J-Live = This Saturday Night! Wednesday, March 6: What the Blues Has Done for You with Bayou and the Degradables at Joelton Middle School. 2:00pm / 3500 Old Clarksville Pike, Joelton, TN 37080. 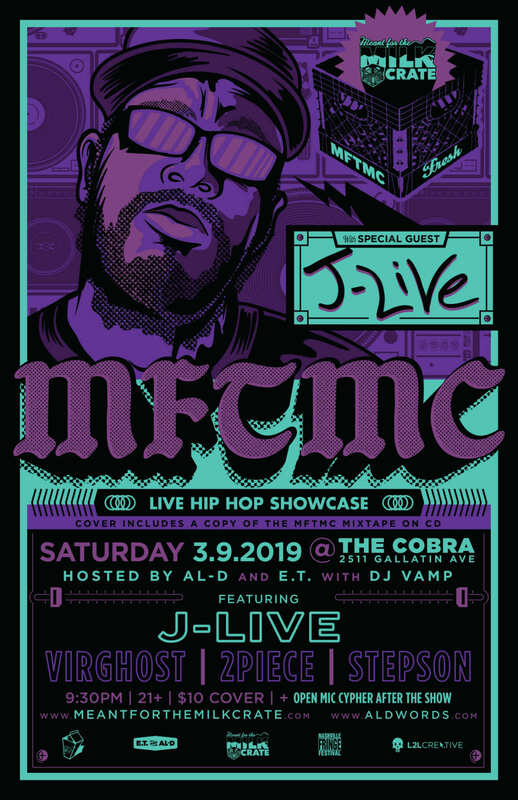 Saturday, March 9: Meant or the Milk Crate at The Cobra, hosted by AL-D + E.T. with DJ Vamp, featuring J-Live, Virghost, 2Piece, and Stepson. There will be an open mic cypher after the show, and admission includes a MFTMC CD mixtape. 9:30pm / 21+ / $10 cover. 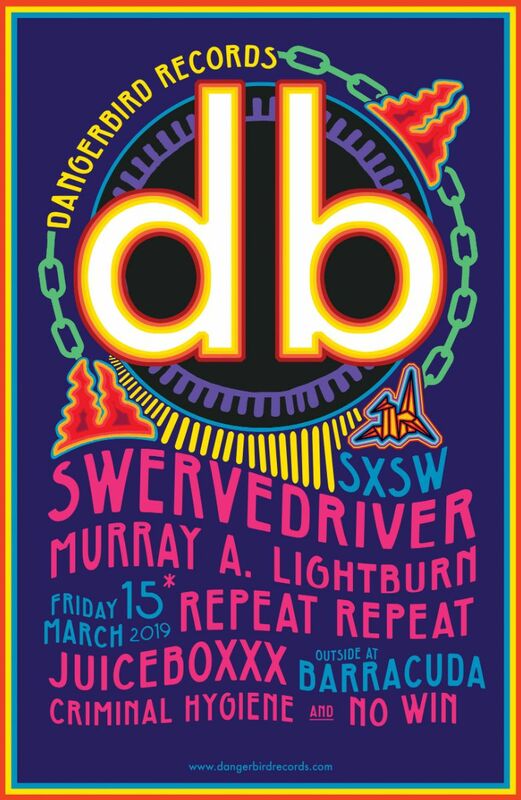 Friday, March 15: Friends of the Fringe *repeat repeat will be performing as part of Dangerbird Record’s SXSW showcase at Barracuda in Austin, TX. 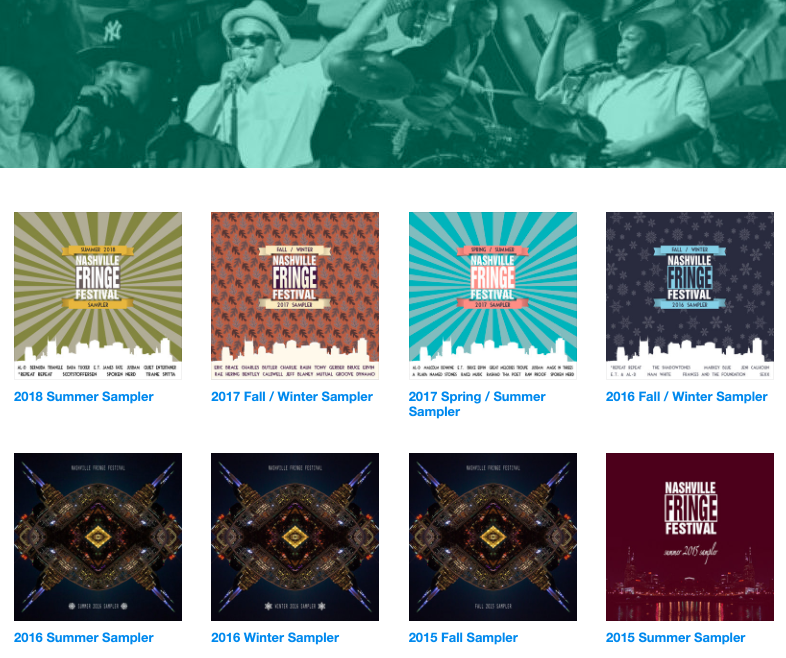 Please head to our Bandcamp page to download any of our fifteen compilations available entirely for free via stream or download. We encourage you to click through and listen to one or all!